Marion Kreith was fourteen when she and her family fled Nazi-occupied Europe and sailed across the Atlantic Ocean to safety in Cuba. Refugees who made it to Havana, including young Marion, found work to support themselves and their families in a newly transported trade: diamond polishing. 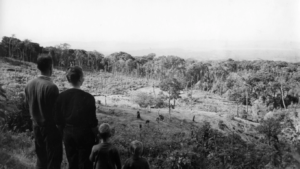 Firsthand survivor accounts take us back to 1940s Havana – an era at once tumultuous, heartbreaking, and intoxicating – to reveal an immigration success story. Now screening at festivals and theaters worldwide. 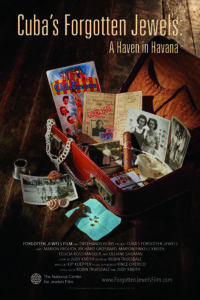 The National Center for Jewish Film is our fiscal sponsor and distributor. For more information, please visit our website. DVD and BluRay available here. 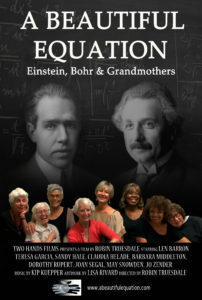 A Beautiful Equation follows eight elder women as they rehearse for an unlikely stage presentation about two great 20th century physicists – Albert Einstein and Niels Bohr. The women are directed by a perky 80 year-old, Len Barron, who wrote the script and oversees the rehearsals. Barron, who closely resembles Einstein, has performed his one-man show about the scientists for more than two decades and decides it would be quite a twist to have eight grandmothers present his material instead. Indeed, the women spin the tales of Einstein and Bohr with grace and depth, illuminating the magic of fairy tales and belief in the impossible that so influenced the two physicists. While the stories about the scientists are captivating, it’s the grandmothers who steal the show as beloved characters. As they progress from rehearsals to the stage, the women reveal their own strengths as inspirational role models and remind us that one doesn’t have to be a genius to be fair, or playful, or to do things beautifully.